Playing Trails of Cold Steel is like eating a hero sandwich that’s way too heavy on the bread. Often you’ll get nice big chunks of turkey and salami. But sometimes—more often than you’d like—you’ll realize that all you can taste is fluffy white filler. 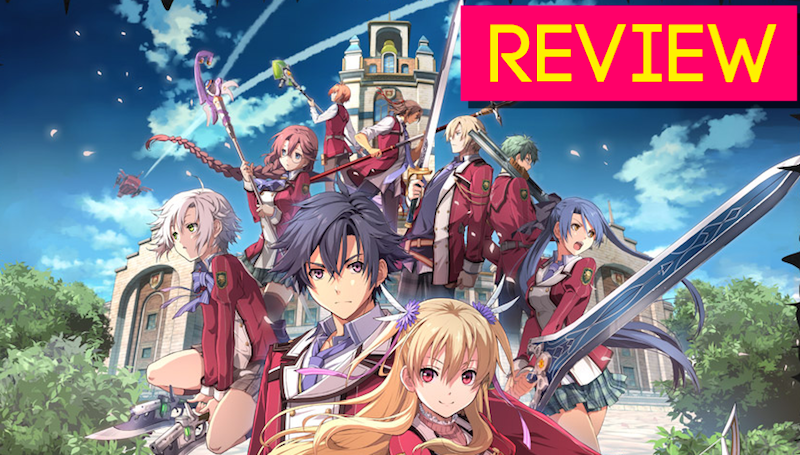 Cold Steel, which came out in December for PS3 and Vita, is a massive RPG set in Erebonia, a prosperous country that’s been dealing with some serious growing pains. Playing as a group of elite high school students, you’re shipped off to a variety of Erebonian cities and villages to fight monsters, solve problems, and learn about the long-simmering class struggles that threaten to tear everything apart. There are tons of towns to explore, an overwhelming number of characters to talk to, and a whole bunch of sidequests that make for nice little distractions along the way. In other words, this is an enormous game, made even bigger by all that dry, bready padding. Conversations are twice as long as they need to be because everyone in your party feels the need to chime in after every line—“I agree!” “Me too!” “Same.”—and over the course of the game you have to revisit the same multi-floor dungeon no fewer than seven times. I needed around 45 hours to finish Trails of Cold Steel, but that number should probably be higher—I rushed toward the end, powering through the last few chapters just before E3 so I could check out Cold Steel II. The story-tellers at Falcom would have done well to remember that Shakespeare quote about brevity. Maybe that’s why it took me seven months to review this game. Still, there’s a lot to love in Cold Steel. The writing is top-notch, living up to the lofty expectations publisher XSEED set for themselves with their last set of RPGs, the Trails in the Sky series. This is the rare game where talking to every NPC is actually worth your time. The main characters appear at first like anime tropes—ditzy class president, aloof handsome noble, etc.—but as the game plods along, most of them show unexpected depth. The game is structured very neatly, and you’ll be following the same rhythm for all seven chapters. It’s sort of like a cross between Suikoden and Persona. At the beginning of each chapter, your main protagonist Rean will attend school; he’ll go to classes, take exams, and so on. Every chapter you’ll have one or two free days, which Rean can spend doing sidequests (ranging from menial to fascinating) and bonding with his classmates, building up their so-called Social Links so they can perform more efficiently together in combat. These free days usually end with a trip to the campus’s decrepit old schoolhouse, which serves as both testing ground and multi-purpose dungeon throughout all of Cold Steel. You’ll see a lot of that place. The second half of each chapter takes Rean and his classmates on field trips throughout Erebonia, where they get hands-on time—and more sidequests—in the country’s various cities and villages. This is where the real action happens, and with a couple of exceptions—Chapter Three in particular—these field trips are the best parts of the game. Erebonian culture is fascinating to explore, especially if you’ve played Trails in the Sky, which takes place in the neighboring country of Liberl, where everyone sees Erebonia as a chilly foreign enemy. As it turns out, the residents of Erebonia are actually just people, and they’ve got plenty of their own problems—particularly centering around the tension between nobles and commoners, which you’ll learn quite a bit about as you play through the game. While exploring the schoolhouse and going on these field trips, you’ll fight a lot of monsters, and the grid-based combat system should be familiar to anyone who’s played the other Trails games. There’s a Grandia-like turn bar that you can manipulate in order to beat up enemies as efficiently as possible, and there are a lot of different skills and spells to play around with. Boss battles can be challenging but never feel unfair because there are so many strategies to try. You can switch up your parties—usually you have access to at least six potential party members at any given time, though you can only use four—or play around with the materia-like orbment system in order to give your students the best spells possible. It’s a lovely system overall. I should warn you: if you’re playing on Vita, you’ll get some serious framerate drops over the course of the game, especially in some of the bigger cities. This isn’t a huge deal but it can be frustrating, although it’s mitigated by user-friendly features like fast travel. I should also warn you: this game ends on one hell of a cliffhanger, and many of the plotlines are not yet resolved. If you’re going to see this game through, be prepared to also pick up Trails of Cold Steel II when it comes out for PS3/Vita later this year. Still, Trails of Cold Steel is worth experiencing. Even when the game is at its most sluggish, it’s never boring. For a story-heavy RPG, good writing can make up for all other deficiencies, and this is a prime example of that. If you’re the type of player who likes talking to every NPC, who doesn’t mind a bit of dungeon-crawling and who wants to take the time to watch politics unfold both among nations and within a small high school, this game is for you. After all, you wouldn’t throw away a sandwich because it had too much bread. The stuff in the middle is just too good.